For patients in whom the corneal thickness is not sufficient or the refractive error is very high, LASIK is often not an option available to correct their refractive errors. The ICL (Implantable Contact Lens) is a state of the art refractive error solution that is ideal for anyone who has the need or desire for removal of power with high quality of vision correction. ICL or Implantable Contact Lens, as the name suggests, is a kind of contact lens which is implanted into the eye and does not require frequent removal like a normal contact lens. This phakic* IOL has numerous advantages including its correction of the widest range of Myopia (near sightedness), hyperopia (far sightedness) and astigmatism (cylindrical power). Are between the ages of 18 and 45 years. Are nearsighted or farsighted, including those with mild, moderate, and high power with or without occurrence of astigmatism. The Toric ICL™, capable of correcting myopia and astigmatism together and combines two procedures into one. Have not had a change in their eyeglass prescription of more than 0.50 Diopters in a year. Have no known allergies to medications used during refractive surgery or no other contraindications. Have dry eyes, severe myopia, or a thin cornea (Non Lasik candidate). Patients seek the ICL because they expect the highest quality of results from their refractive vision correction procedure. The advantages of this phakic IOL (highlighted below ) makes the ICL a sought after treatment for nearsightedness & farsightedness. High quality of vision – The ICL not only correct your refractive power or number, but it also enhances your quality of vision by producing sharp vision. Wide treatment range – In comparison to other refractive procedures, the ICL offers the widest treatment range for correction of vision. Invisible – The placement of the ICL into the posterior chamber of the eye makes the lens invisible to both the patient and any observer. Collamer composition – Collamer is made from collagen, which is a substance that naturally occurs in the body. This makes the lens highly biocompatible with the eye. Proven track record – Implanted in over 1,60,000 eyes worldwide, the safety and amazing improvement in vision quality of the ICL has been proven over the last 12 years. 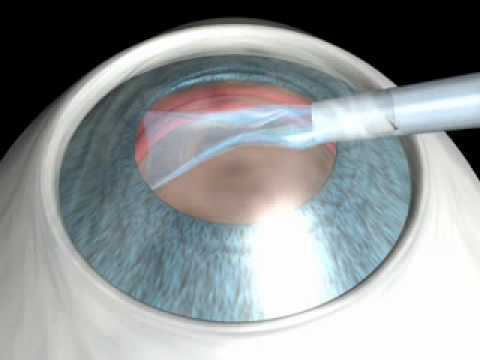 The ICL is ideal for patients with contraindications for laser refractive Surgery. ICL takes refractive surgery beyond the limits of LASIK. Patients, who may not discover the ICL until they begin to search for an alternative treatment to avoid LASIK or PRK, realize that the ICL is not just an alternative; it is the good choice for superior vision quality.